“Changes of heart and mind and culture” are needed to move the Catholic Church from anger over the clergy sexual abuse crisis to justice, reform and personal renewal among the faithful. 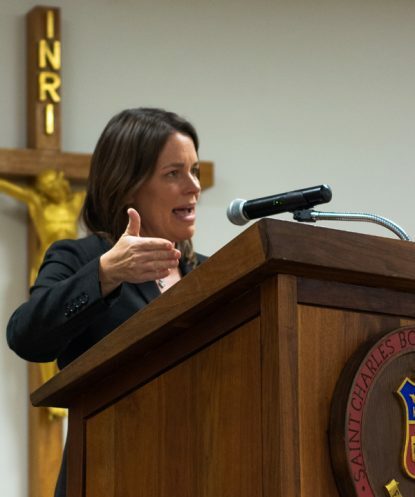 That was the assessment of Kim Daniels, speaking on “From Anger to Renewal: Communications and the Crisis in the Church” Jan. 28 at St. Charles Borromeo Seminary in Wynnewood. Rebuilding the credibility and trust in the church will also require careful thought as to how reforms are communicated to both Catholics and non-Catholics, said Daniels, who is one of only three lay members of the Vatican Dicastery for Communication. Throughout the evening, Daniels – who also holds a law degree from the University of Chicago — applied her extensive background in public communications to assessing the church’s current global crisis, one of the most serious in its long history. 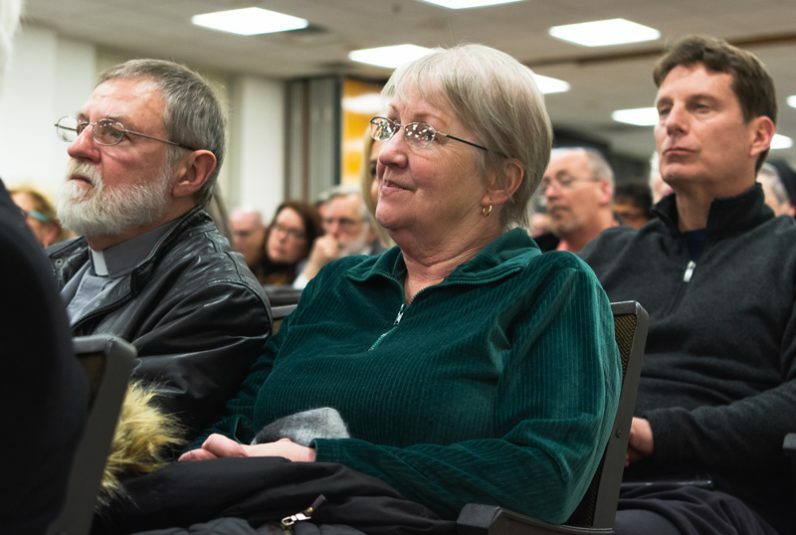 Both the victims of abuse and rank-and-file Catholics have suffered, she said, adding that another casualty has been the loss of credibility of the church to speak and teach on any topic. Last year brought an almost weekly wave of sensational revelations of former Cardinal Theodore McCarrick, Washington Cardinal Donald Weurl, the Pennsylvania grand jury report, a series of what Daniels called “tendentious, agenda-driven letters from Archbishop (Carlo Maria) Vigano” and last November’s meeting of the U.S. Conference of Catholic Bishops that “succeeded in conveying mostly disunity and ineffectiveness,” she said. Similar reports of scandal emerged in at least eight other countries. This sounds more like disinformation and damage control instead of an honest self evaluation and problem resolution plan. And why the obvious contempt for the whistle blower if you really want to solve the problems that were identified by him (Archbishop Vigano)? If this attitude and approach is what we can expect from the session in February, then we will get nothing but window dressing and no fundamental changes. The laity may not be appreciating its true position in the Church as much as it should. If it did, what the hierarchy does would not be as important. Very informative, but we’ve heard it before. We were very disappointed by Pope Francis’s negative response to last year’s attempt by the USCCB. We better do it proper if we have any hope of righting the ship.